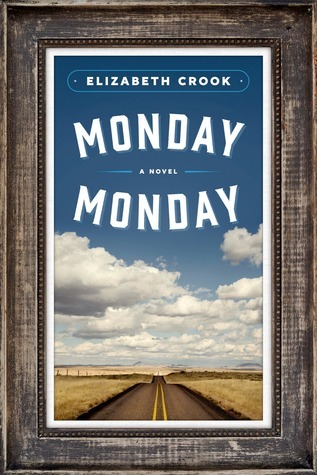 Monday, Monday, by Elizabeth Crook is a fictional account of the lives of three survivors of this actual shooting event. 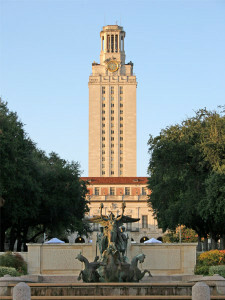 Shelly Maddox, an undergraduate student at the University of Texas is the predominant focus/character of the story. Wyatt Calvert and Jack Stone are cousins, best friends and already married graduate students at the school and were responsible for rescuing Shelly and carrying her to safety on that harrowing afternoon. The relationship developed between these three following this horrific event is what shapes their future, their families and this story. Following this harrowing afternoon and their recovery, a more illicit relationship forms between Shelly and Wyatt. They are drawn to one another as they feel as though only together can they truly piece what and understand how they survived that day at UT. Their forbidden love affair, the subsequent pregnancy will then invoke all three in a vow of secrecy spanning forty years. Monday, Monday brings us on an extremely emotional journey over these years as Shelly, Wyatt, Jack, their spouses and children are forever and very tied together due to this one event. 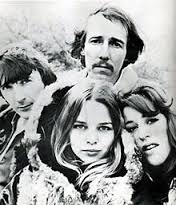 Eventually, and after too many close calls and too many questions arise in their children’s minds, Shelly, Jack and Wyatt are forced into another highly and emotionally charged reunion decades following that one afternoon. Here is where all unravels and is exposed and when they are forced to confront how this event so powerfully changed their lives forever. Monday, Monday is an excellent tale demonstrating how this one event spirals out over many decades and affects not only their individual lives so powerfully, but those of their families and children. It takes an event that played out on national news and personalizes it so powerfully, emotionally and beautifully. There are so many great and powerful moments that will rip at your heart and have you reaching for the tissues. I truly did experience a roller coaster of emotions throughout. Crook has done an amazing job of clearly showing the personal side of how one singular event can cause, create and form the path followed by three victims. The emotions it pulls out from you is so incredibly well done inside these pages. I highly recommend reading Monday, Monday. Thank you to FSB Associates and in particular Leyane Jerejian for alerting us to this novel and allowing us to read it prior to its release. This sounds great and gripping. I’m going to have to add it to my ever growing list. Thanks for bringing it to my attention.